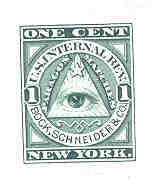 4287 EP ETATS UNIS (1864) Oeil de Dieu*. Épreuve en vert sur papier Indie de timbre fiscal privée. "Bock, Schneider & Co." Vert est le couleur le plus rare pour ces épreuves! 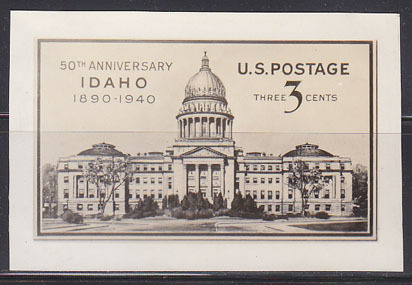 18104 EP U.S.A. (1940) Idaho Capital*. Photo essay (See Note) of final design commemorating 50th anniversary of statehood. Scott No 896, Yvert No 448. Rare! 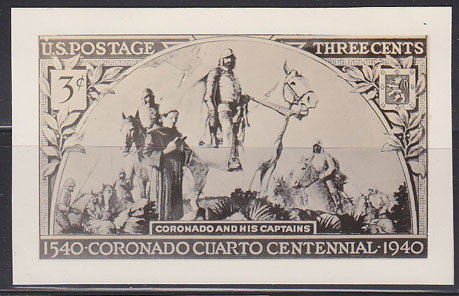 18466 EP U.S.A. (1940) Coronado and his captains*. Photo essay (See Note) of final design commemorating explorer. Scott No 898, Yvert No 450. Rare! 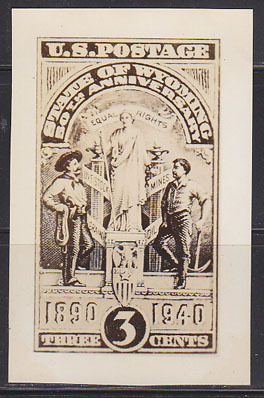 18612 EP U.S.A. (1940) Torch of Enlightenment*. Photo essay (See Note) of final design for National Defense series. Scott No 901, Yvert No 453. Rare! 18701 EP U.S.A. (1940) Cowboy*. Miner*. Photo essay (See Note) of final design commemorating 50th anniversary of Wyoming statehood. Scott No 897, Yvert No 449. Rare! 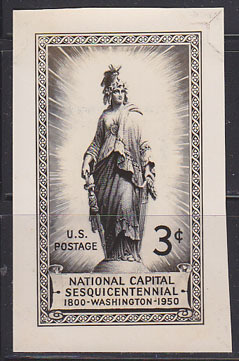 18991 EP U.S.A. (1940) Statue of Liberty*. Photo essay (See Note) of final design for National Defense series. Scott No 899, Yvert No 451. Rare! 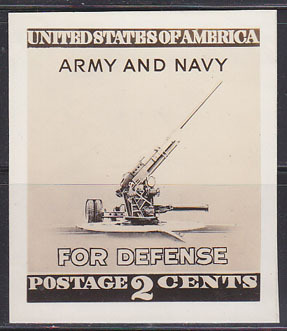 19110 EP U.S.A. (1940) Anti-aircraft gun*. Photo essay (See Note) of final design for National Defense series. Scott No 900, Yvert No 452. Rare! 18105 EP U.S.A. (1941) Capital building*. 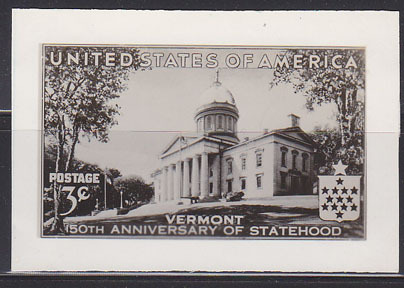 Photo essay (See Note) of final design commemorating Vermont sesquicentennial. Scott No 903, Yvert No 455. Rare! 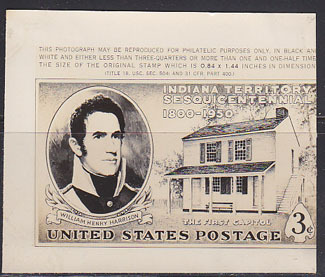 18467 EP U.S.A. (1942) Daniel Boone*. Frontiersmen*. 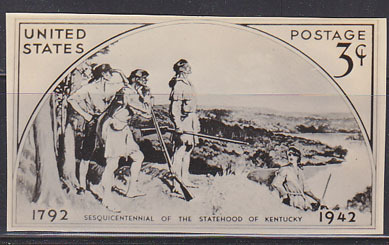 Photo essay (See Note) of final design commemorating Kentucky sesquicentennial. Scott No 904, Yvert No 456. Rare! 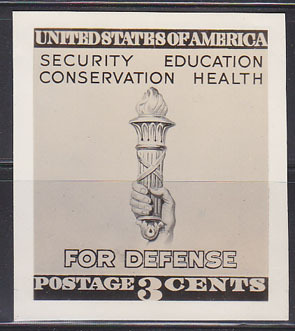 19071 EP U.S.A. (1943) Liberty holding torch of enlightenment*. Photo essay (See Note) of final design for Four Freedoms issue. Scott No 908, Yvert No 472. Rare! 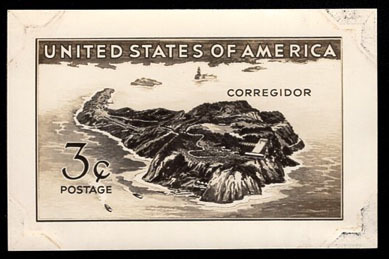 17909 EP U.S.A. (1944) Aerial view of Corregidor*. Photo essay (See Note) of final design commemorating the final resistance of the defenders of Corregidor. Scott No 925, Yvert No 474. Rare! 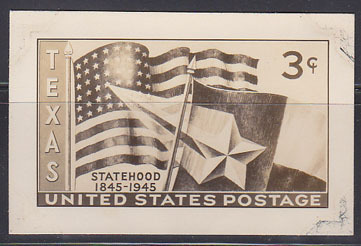 18508 EP U.S.A. (1945) Flags of US and Texas*. Photo essay (See Note) of final design commemorating Texas statehood. Scott No 938, Yvert No 490. Rare! 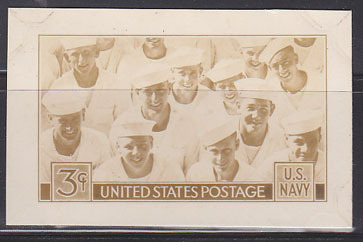 18695 EP U.S.A. (1945) Sailors*. Photo essay (See Note) of final design commemorating US Navy. Scott No 935, Yvert No 487. Rare! 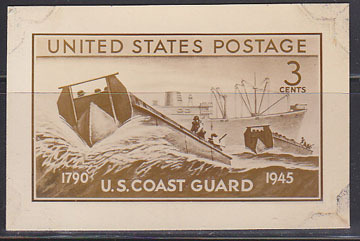 18696 EP U.S.A. (1945) Landing craft*. Photo essay (See Note) of final design commemorating US Coast Guard. Scott No 936, Yvert No 489. Rare! 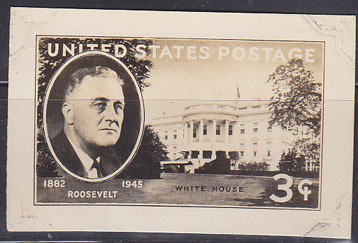 18866 EP U.S.A. (1945) Roosevelt*. Hyde Park*. Photo essay (See Note) of final design commemorating death of Roosevelt. Scott No 930, Yvert No 482. Rare! 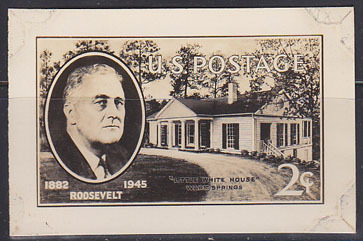 18867 EP U.S.A. (1945) Roosevelt*. Little White House*. Photo essay (See Note) of final design commemorating death of Roosevelt. Scott No 931, Yvert No 483. Rare! 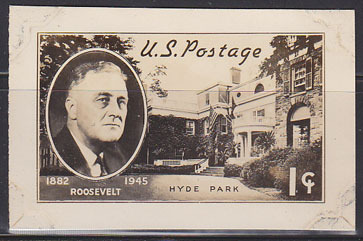 18868 EP U.S.A. (1945) Roosevelt*. White House*. Photo essay (See Note) of final design commemorating death of Roosevelt. Scott No 932, Yvert No 484. Rare! 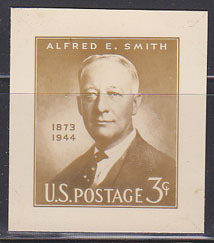 19144 EP U.S.A. (1945) Alfred E. Smith*. Photo essay (See Note) of final design commemorating NY governor and presidential candidate. Scott No 937, Yvert No 488. Rare! 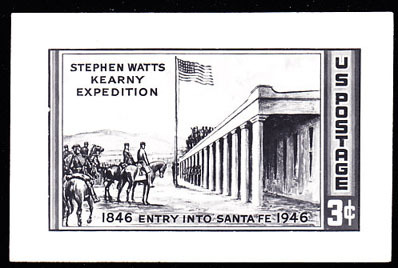 10703 EP U.S.A. (1946) Kearny Expedition Entry into Santa Fe. Photo essay. (See Note) Mexican-American War. Scott No 944, Yvert No 496. 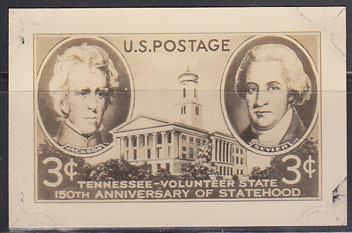 18764 EP U.S.A. (1946) Tennessee*. Photo essay (See Note) of final design commemorating centenary of statehood. Scott No 941, Yvert No 493. Rare! 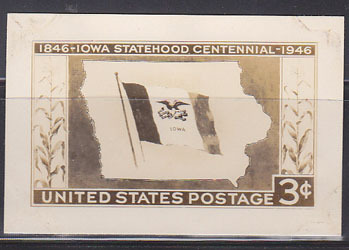 18765 EP U.S.A. (1946) Flag & map of Iowa*. Cornstalks*. Photo essay (See Note) of final design commemorating centenary of statehood. Scott No 942, Yvert No 494. Rare! 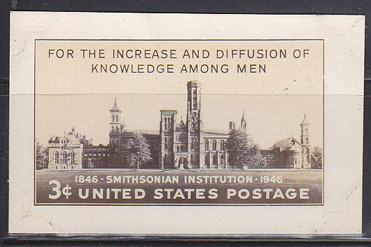 18871 EP U.S.A. (1946) Smithsonian Institution*. Photo essay (See Note) of final design commemorating centenary of founding. Scott No 943, Yvert No 495. Rare! 18768 EP U.S.A. (1947) Great white heron*. Map of Florida*. 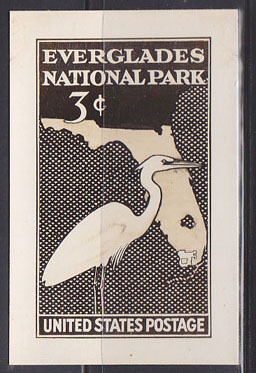 Photo essay (See Note) of final design commemorating Everglades National Park. Scott No 952, Yvert No 503. Rare! 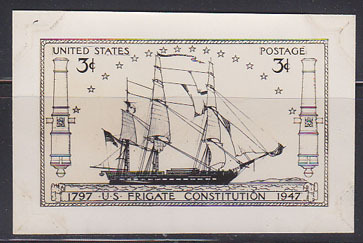 18892 EP U.S.A. (1947) Frigate "Constitution"*. Photo essay (See Note) of final design commemorating the famous Revolutionary War ship. Scott No 951, Yvert No 502. Rare! 18978 EP U.S.A. (1947) Washington*. Franklin* stamps*. Photo essay (See Note) of final design of S/S commemorating centenary of US postage stamps. Scott No 948, Yvert No BF8. Rare! 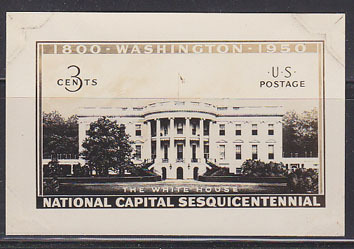 19099 EP U.S.A. (1947) Washington*. Franklin*. 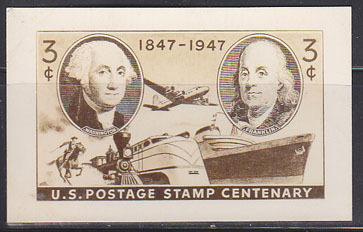 Photo essay (See Note) of final design commemorating centenary of US postage stamps. Scott No 947, Yvert No 499. Rare! 18447 EP U.S.A. (1949) Washington*. Lee*. University*. 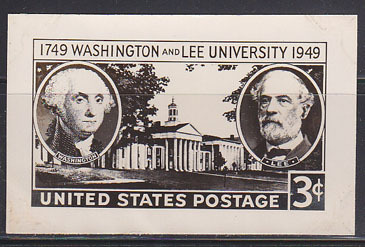 Photo essay (See Note) of final design commemorating Bicentennial of Washington & Lee University. Scott No 982, Yvert No 533. Rare! 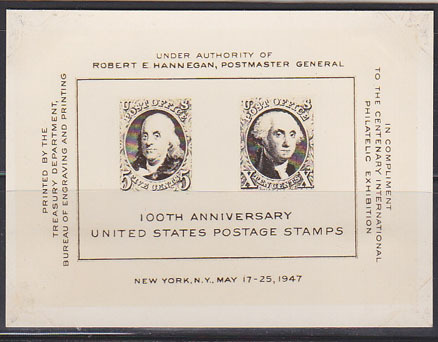 18697 EP U.S.A. (1949) Veterans*. Photo essay (See Note) of final design commemorating final encampment of the GAR. Scott No 985, Yvert No 536. Rare! 19098 EP U.S.A. (1949) Citizen holding cogwheel*, ballot box*. 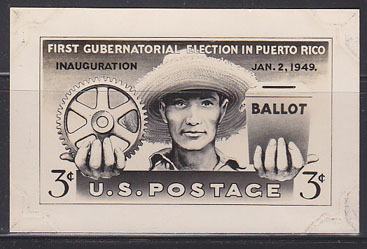 Photo essay (See Note) of final design commemorating first gubernatorial election in Puerto Rico. Scott No 983, Yvert No 534. Rare! 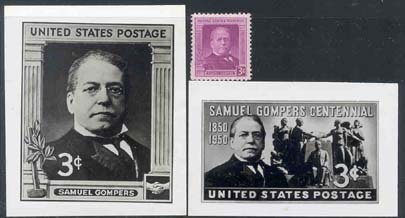 10428 EP U.S.A. (1950) Samuel Gompers*. Pair of photoessays, one measuring 90 x 57 mm, and the other 78 x 88 mm, which looks like it was used as the final design for the stamp. Scott No 988, Yvert No 539. Rare exhibition items! 18107 EP U.S.A. (1950) White House*. Photo essay (See Note) of final design commemorating National Capital Sesquicentennial. Scott No 990, Yvert No 542. Rare! 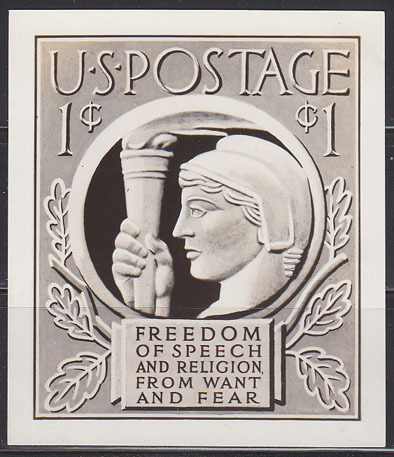 18226 EP U.S.A. (1950) Statue of Freedom*. Photo essay (See Note) of final design commemorating National Capital Sesquicentennial. Scott No 989, Yvert No 541. Rare! 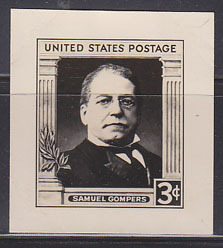 18595 EP U.S.A. (1950) Samuel Gompers*. Photo essay (See Note) of final design commemorating Gompers' birth centenary. Scott No 988, Yvert No 539. Rare! 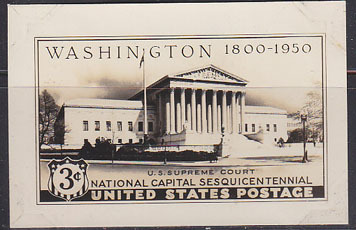 18610 EP U.S.A. (1950) Supreme Court*. Photo essay (See Note) of final design commemorating National Capital Sesquicentennial. Scott No 991, Yvert No 543. Rare! 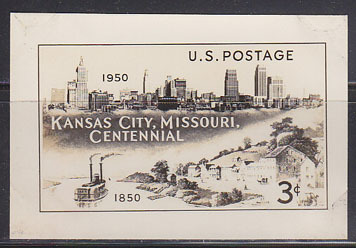 18778 EP U.S.A. (1950) Kansas City*. Riverboat*. Photo essay (See Note) of final design commemorating KC Centennial. Scott No 994, Yvert No 545. Rare! 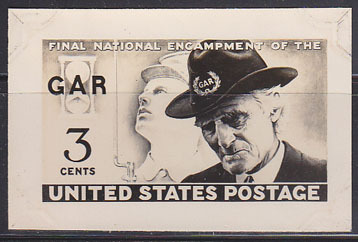 19145 EP U.S.A. (1950) William Harrison*. Indiana capital*. Photo essay (See Note) of final design commemorating Indiana territory sesquicentennial. Scott No 996, Yvert No 547. Rare! 1600 EP U.S.A. (1957) Ships*. Flag*. 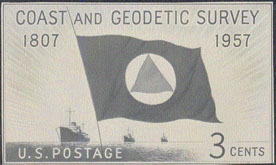 Photo essay (See Note) showing accepted design of issued stamp for Coast and Geodetic Survey Sesquicentennial. Scott No 1088, Yvert No 625. 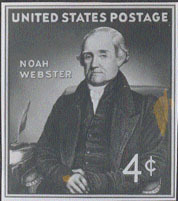 3324 EP U.S.A. (1958) Noah Webster*. Photo essay (See Note) of accepted design for 4c stamp. Measures 60 x 65 mm with adhesions on reverse and a couple of small flaws on the front (photographic emulsion stains?). Scott No 1121, Yvert No 654. 9620 EP U.S.A. (1961) Liberty Bell*. Photo essay, (See Note) preliminary unaccepted design with very detailed bell, for airmail stamp, marked "NOT USED" on back. Measures 102 x 65 mm. 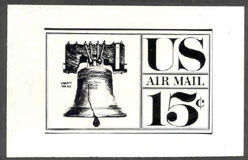 The Liberty Bell design was actually used for the 10 cent stamp. Scott No C62, Yvert No PA56. Fascinating and rare! 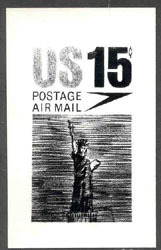 11565 EP U.S.A. (1961) Statue of Liberty*. Photo essay, (See Note) preliminary unaccepted design, for airmail stamp, marked "ARTIST'S IDEA SKETCH" on back. Measures 102 x 65 mm. Scott No C63, Yvert No PA57. Fascinating and rare! 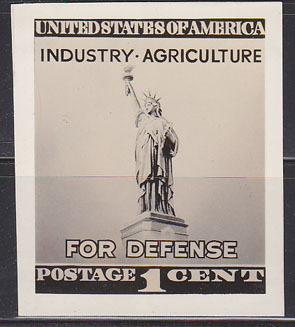 11566 EP U.S.A. (1961) Statue of Liberty*. Photo essay, (See Note) preliminary unaccepted design, for airmail stamp, marked "ARTIST'S IDEA SKETCH" on back. This essay is in vertical format and measures 64 x 101 mm. Scott No C63, Yvert No PA57. Fascinating and rare! 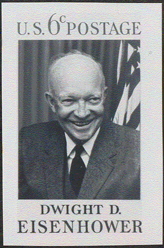 17888 EP U.S.A. (1969) Eisenhower*. Photo essay (See Note) showing accepted design. Measures 55 x 83 mm. Scott No 1383, Yvert No 886. 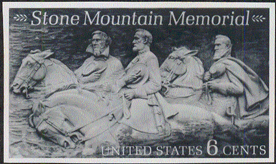 16678 EP U.S.A. (1970) Stone Mountain Memorial*. Robert E. Lee*. Jefferson Davis*. Stonewall Jackson*. Photo essay (See Note) showing accepted design. Measures 92 x 56 mm. Scott No 1408, Yvert No 901. 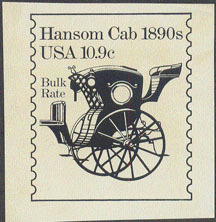 5488 EP U.S.A. (1982) 1890 Hansom Cab*. 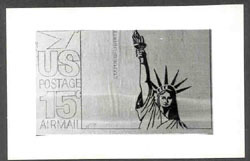 Photo essay (See Note) of accepted design for 10.9c bulk rate stamp. Measures 70 x 75 mm with adhesions on reverse. Scott No 1904, Yvert No 1380.